What is the Third Eye and How can it be opened? What are the benefit? / What is the Third Eye and How can it be opened? The third eye is another name for the Ajna (brow) chakra. It is also called the inner eye or the sixth chakra. The inner eye can connect people to their inner selves and allow them to communicate with the world. In various dharmas, the third eye is considered the center of foresight and intuition. People that open this sixth chakra are considered enlightened and centered. While the concept of the inner eye originated with Hindu beliefs, it may have modern applications for people in all walks of life. You do not need to be a practicing Hindu or Taoist to enjoy your third eye awakening. In many ways, you should benefit much if you learn more about this powerful chakra and its role in your overall existence. What is the third eye? Your third eye is like a sixth sense. When you have a gut feeling, you are experiencing just a small part of the abilities of the third eye. It is a concept that is used by various religious and philosophical traditions, including Taoism and Hinduism. These religions and dharmas (ways of life) include various beliefs related to the inner eye. It is typically considered the eye of vision. Your physical eyes are simply sensory organs. Your two eyes provide your brain with images. However, your physical eyes do not see the truth that underlies everyday experience, unless you have awakened the sixth chakra. In Hinduism, this eye is also related to the God Shiva. It is also the gateway to achieving a higher consciousness and transcendence. Over the years, the third eye has also come to represent the pineal gland. This is a small gland in your brain that produces melatonin. Melatonin regulates sleep patterns and is required for a variety of functions in the central nervous system. Developing the inner eye is the entryway to inner peace. However, many people also believe that opening the sixth chakra is the entryway to psychic abilities, including clairvoyance and astral projection. How Do You Awaken Your Third Eye? If you want to know how to open the third eye, you may need to start meditating. Meditation allows you to focus your mind on a single thought or no thoughts at all. In the Taoist practice of awakening the inner eye, you need to meditate and perform chants. You also need to know where your third eye is located. It sits between the two eyes, just above the bridge of the nose. When meditating, you should focus your thoughts on this chakra. Concentrate on its location and importance. You should also ensure that you have a quiet place to meditate that is free of distractions. Repeating a chant can also help you focus on your sixth chakra. One-syllable chants are the easiest to repeat over and over without requiring your mind to think about the chant. Choose a word that brings happiness, peace, or calm. Becoming more mindful is also a requirement for opening your inner eye. Mindfulness requires you to pay attention to everything that is going on around you and within yourself. You should avoid judging people or making hasty decisions. Consider yourself an observer. Reserve judgment and deciding whether someone is right or wrong. Why Should You Awaken Your Third Eye? Through third eye awakening techniques, you may gain a variety of benefits. Some religious groups consider people that awaken the sixth chakra to be seers. You may gain the power of premonition. There are also potential dangers to living with a blocked inner eye. When this eye is blocked, you may live in a state of confusion and uncertainty. People with a blocked mind’s eye may also be more prone to jealousy, cynicism, and pessimism. While the mystical and spiritual abilities of the inner eye are not backed by scientific research, there are advantages to focusing on the mind’s eye. The third eye opening symptoms of heightened intuition and inner peace are beneficial to anyone. One of the first benefits of opening the inner eye is achieving a higher state of consciousness. With a higher state of consciousness, you are more aware of your surroundings and your place in the universe. This tends to bring a tremendous sense of calm and peace into your life. With a higher state of consciousness, it is easier to be more mindful and present. You may find that you are more connected with your inner self. You become more self aware, which helps you think more clearly and overcome phobias that are holding you back in life. Achieving a higher state of consciousness may also help you reduce worries and anxieties. When you gain a better understanding of the inter-connectivity of everything, it is hard to let the same fears and phobias trouble you. The process of awakening your inner eye can also help fight anxiety and depression. To awaken your third eye, you need to meditate and be more mindful. These tasks tend to provide a sense of calm and inner peace. The higher state of consciousness that you achieve also allows you to live in the present. When you are focused on the present, you stop worrying as much about the past and the future, which are the two main sources of anxiety. As mentioned, the gut feelings that you experience are a sample of what the inner eye can bring. When you awaken the mind’s eye, your gut feelings become more accurate and easier to notice. After opening your sixth chakra, you may notice that your premonitions tend to come true more frequently. People with an opened mind’s eye tend to have better natural instincts. Improving your natural instincts can help in all areas of your life. You are also more likely to trust your instincts. Studies show that people that rely on intuitive decisions tend to reach decisions quicker and perform better compared to those that rely on rational decision making. Awakening your third eye also allows you to see yourself more clearly. You gain the ability to truly understand your actions and how they impact your life. When combined with greater instincts, you can develop a clearer path toward your goals. Your third eye allows you to use your higher level of understanding to find solutions to all types of problems. Gaining a better understanding of yourself allows you to avoid repeating the same mistakes. This introspection can be used to help you accomplish your goals or improve areas of your life. When you are more centered, it is easier to remain focused on the present instead of worrying about the past or future. Living in the present brings its own set of benefits, beyond the benefits of awakening your inner eye. Living in the present helps you overcome fears, including shyness. People that are naturally nervous or shy around others may become more confident, as they do not need to worry about past social situations or worry about the future. When you are present, you are also a better listener. It is easier to focus on other people's issues when you do not have any major issues of your own. Many people experience increased creativity after awakening the third eye. Creativity can get blocked by self doubt, anxiety, and fears over the quality of the creative work. When you eliminate these issues, you are free to be more creative. You have more freedom to work freely without thinking too much. Instead of worrying about whether people will like your work, you can simply enjoy expressing yourself. This often results in higher quality work and greater satisfaction with the creative process. The third eye symbol includes the Om over an inverted triangle. These objects are surrounded by a circle bookended by two lotus petals. 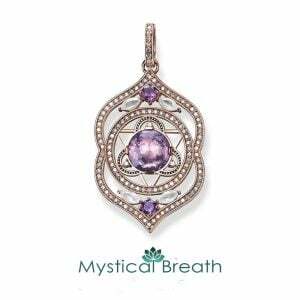 These elements all represent wisdom, which is one of the most significant benefits of awakening the inner eye. Greater wisdom comes from all the advantages discussed. When you achieve a higher state of consciousness, you gain the wisdom to reserve judgment. You are also likely to be more creative, self aware, and confident. When you awaken your mind’s eye, you gain an increased perception of life, the universe, and your place in it. This allows you to make more sense of what you see and experience. The wisdom that you gain also allows you to reflect on yourself. You may gain a better understanding of your emotions and how to control them. The benefits that you achieve through the awakening of your inner eye may also improve your physical and mental health. As mentioned, you may find it easier to deal with stress. You are also less likely to experience anxiety and depression. The wisdom that you gain also helps you remain more centered and aware of your emotions. These benefits aid your mental wellbeing. However, when you avoid stress and anxiety, you are also more likely to experience better physical health. Stress and anxiety are two of the biggest causes of health issues. When you experience stress and anxiety, you may have trouble sleeping. You may also make poor decisions, such as unhealthy eating decisions. Stress also increases your heart rate and blood pressure. The combination of these negative effects can have a profound impact on your physical health. Eliminating stress and anxiety can have the opposite effect. You may make better decisions, break your bad habits, and enjoy better heart health. The meditation that you perform to open your inner eye may also improve your breathing and blood circulation, allowing more oxygen to reach your brain. This is known to help reduce stress, anxiety, and various health issues, such as difficulty sleeping or concentrating. The advantages discussed are verifiable. People that spend more time meditating and attempting to awaken their third eye tend to experience less anxiety. They also tend to trust their instincts and think clearly when solving problems. However, there are also many people that believe awakening the third eye can bring spiritual or psychic abilities. Lucid dreaming is one example. With lucid dreaming, you learn to control your dreams. You become aware that you are dreaming, which allows you to alter your dream world. There is also the belief that the sixth chakra can allow you to astral travel during meditation. Astral projection is a type of out-of-body experience. Your consciousness separates from your physical body and travels through the universe. Some people also believe in the ability to see and sense the auras of other people. Auras are the energy fields that surround people and animals. Auras may contain positive or negative energy. When you can detect the aura around people, you become better at avoiding negative interactions. You instinctively know who has a negative outlook and who has a positive outlook. When you surround yourself with positive thinkers, it becomes easier to live a mindful life. The third eye is a concept that millions of people believe. 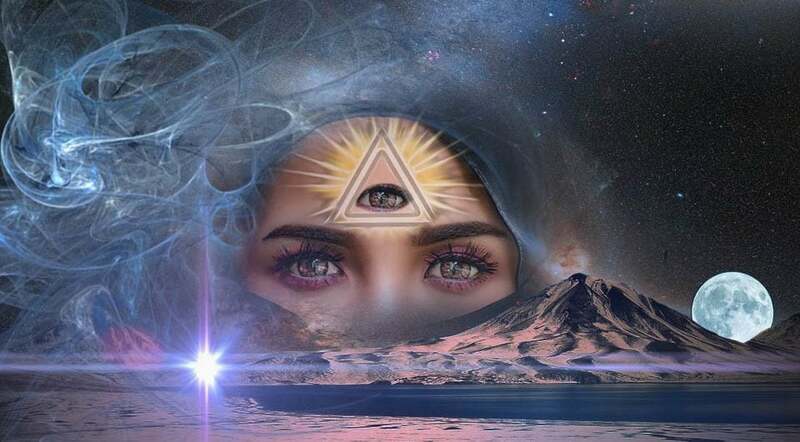 The exact abilities that you may gain through opening the third eye may vary based on your personal, religious, spiritual, or philosophical beliefs. Even if you do not follow one of the dharmas or religions that originated the concept of the inner eye, you can still enjoy the benefits that the awakening can bring. Through focus, meditation, and introspection, you may gain more clarity and insight into your life and the world around you. If you want to know how to open your third eye, you may seek the advice of those that have already experienced this awakening. There are many spiritual centers and gurus that offer guidance and instruction for opening the sixth chakra. Keep in mind that this awakening can also be a personal experience. You can seek inner peace and a higher consciousness through your own actions. In the end, the presence of the third eye is hard to deny. However, it is up to you to decide if you want to unlock the powers behind this inner eye.